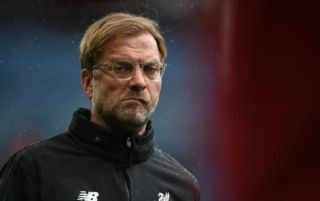 Jurgen Klopp’s side were drawn in a group with two European giants in Napoli and PSG, with Serbian side Red Star Belgrade making up the remainder of their group. And this draw, which didn’t look to be very favourable to the club on first viewing, looks even more cruel when you realise the other games the Reds are going to have to compete in around their Champions League ties. The Merseyside club are going to have to endure a fixture run of Spurs, PSG, Southampton, Chelsea twice, Napoli and Man City, a run that we’re sure the Reds are going to be glad to see the back of! A lot of people have touted a Liverpool as potential Premier League, and possibly even Champions League, winners this season given the squad they have and the players they’ve brought in this summer. However, these calls will definitely be put the test when Liverpool have to endure this torrid run against some of England and Europe’s best sides. Should they come out of these fixtures with more wins than losses, it could be the run the club need to push and secure their first major trophy sine 2012.